Geranium Oil is known to lift not only the mind, but our skin as well. This oil balances both your skin and your mood and is beneficial when treating anxiety, depression and even PMS. Stress and anxiety can age and effect our skin's appearance, so the more help we can get the better. I think everyone can benefit from a little more balance in their lives. 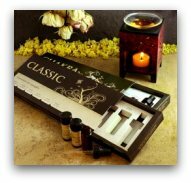 This is a must for your essential oil and aromatherapy collection. Origin and Description: Originated in South Africa, Madacascar, Egypt and Morocco and was introduced into European countries in the 17 th century. This is a perennial shrub that can grow up th 3 feet tall. It is a fuzzy plant that has pointed serrated leaves and produces white and pinkish flowers. Part of Plant Used: Oil is extracted from leaves, stems and flowers through steam distillation. Aroma: Strong smelling, floral kind of minty scent. Skin Care Uses and Benefits: Can be used in creams and lotions and is a great addition to a relaxing bath. Geranium Essential Oil helps balance both dry or oily skin by regulating sebum production. This is a wonderful oil for combination skin. It acts as a natural astringent, causing skin tissue to contract resulting in firmer younger looking skin. It promotes skin cell regeneration, improves elasticity and circulation to the surface of skin making it ideal for anti aging treatments. Skin appears more radiant and youthful. It naturally cleanses and has antibacterial properties that aid in healing which can be of great benefit if you suffer from eczema or acne prone skin. It can also be used to heal burns, wounds and even shingles. Geranium Essential Oil also helps with water retention making it a good cellulite treatment. It also can fade the appearance of scars, stretch marks and agespots. Cautions: Avoid using if you are pregnant or have very sensitive skin. If in doubt always consult with your doctor first. Visit Mountain Rose Herbs for a wide variety of quality, organic essential oils. Try one of their economical sampler kits.